Ok, back to it. The tenth ancestor in my 52 Ancestors in 52 Weeks 2017 project is my paternal grandfather, Richard ZALEWSKI. I noticed after updating a handful of biographies and sources over at WikiTree recently that I haven’t really written much about my close ancestors, besides my maternal great-grandfather and my maternal grandfather’s war biography. He is related to me through my father → his father (Richard ZALEWSKI). My grandfather was part of the reason I started on this genealogical journey over the last 18 years (wow, 18 years.) When he passed away in April 1999, it coincided with the launch of FamilySearch’s first website. One thing led to another, and here we are. Richard was born on 9 Dec 1921 (one day after my son’s birthday) in Milwaukee, Wisconsin to Joseph & Emily (TROKA) ZALEWSKI. He was the 2nd child of three after his older sister Irene and before his younger brother Robert. He was also a middle child, like me and my father, and his father. The family was living at 826 Bremen St in Milwaukee at the time. His middle name was actually Melvin at birth (not sure where that came from), but it was changed to Joseph a bit later on. In October 1940, Richard joined the US Navy. He was stationed in Pensacola, Florida in Spring 1941 as an Aviation Support Equipment Technician when his mother suddenly passed away on 1 May 1941 of a stroke. The story goes that he could not afford the trip home for her funeral and just happened to find a $20 bill on the ground that he was able to use for his ride home. I have a few letters that his mother wrote to him in April 1941, so these would be the last words he had from her, which is probably why he kept them. During most of World War II, Richard was stationed with the US Navy in Hilo, Hawaii where he was a Aviation Machinist’s Mate, 3rd Class. They were responsible for “maintaining aircraft engines and their related systems, including the induction, cooling, fuel, oil, compression, combustion, turbine, gas turbine compressor, exhaust and propeller systems” and many other things. When Richard returned from the war, a young woman named Mary Jane CORRIGAN was living with her aunt and uncle, Edy & Ethel (CORRIGAN) STRELKA in Milwaukee. 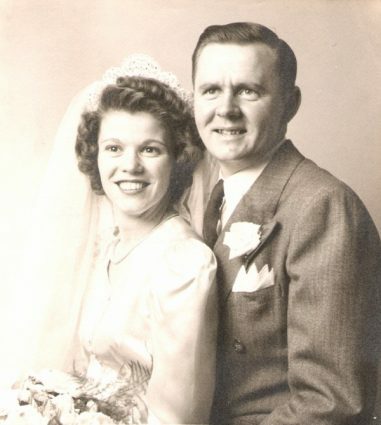 Edy Strelka was Richard’s first cousin, so Richard and Mary Jane met and after some time were married on 11 October 1947 at St. Gall’s Church in Milwaukee. The family lived in Milwaukee where their first two children were born, including my father. In about 1955, the family moved north to the “suburbs” in Cedarburg, Ozaukee, Wisconsin where they lived for the rest of their lives and had one more child. 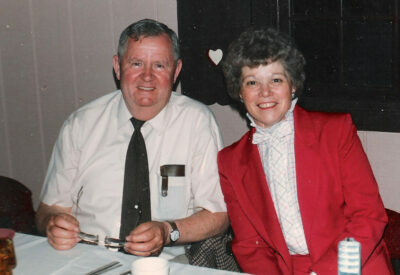 Richard worked with the US Postal Service in Milwaukee for many years, retiring in 1978. On 18 April 1999, Richard passed away from a quick bout with Pancreatic Cancer. His death was my first loss of a grandparent and it hit me a bit hard at the time, which I’ve written about a few times. Every year since his death and the beginning of my journey into genealogy, his Zalewski line was, and is still, my most difficult line to research. I’ve only recently pushed back one more generation. He is buried at St. Francis Borgia Cemetery in Cedarburg. In terms of DNA, I definitely share DNA with him. Probably 25% based on how DNA recombines. My father and my paternal cousin has also tested, so I can see a lot of the DNA I know I got from them. I spent some time these last few days updating a lot of my ancestor’s profiles on WikiTree. WikiTree is constantly an amazing source for genealogy information. They consistently add really helpful new features and trying to make one big family tree is a big project. Features like the DNA connections, the genealogical relationships, and especially the community and the hundreds of helpful groups. It’s like one big family working on creating one big family. One of the really cool parts of the WikiTree profiles is the biography area. By default, it just adds a little sentence to a profile when you add it, nothing too helpful. I did a bit with the “52 Ancestors in 52 Weeks” projects over the years (I know, I need to get back to it this year.) I thought to myself, why not copy some of those posts over to my WikiTree profiles as biographies. I could interlink everything and source a lot of it and it would definitely help people who are not aware of my site. So, that’s what I’ve been doing. For example, the profile of my 3rd-great-grandfather, Johann Last. I’ve also done a lot of work, though not only recently, on my other great-great-grandfather Frank Zalewski’s profile over the years. I’m still working my way through my 2014 52 Ancestors posts and as I post more for 2017’s project, I will try to add those. If you’re not using WikiTree, you really should look into it.